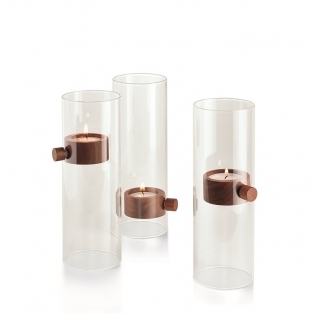 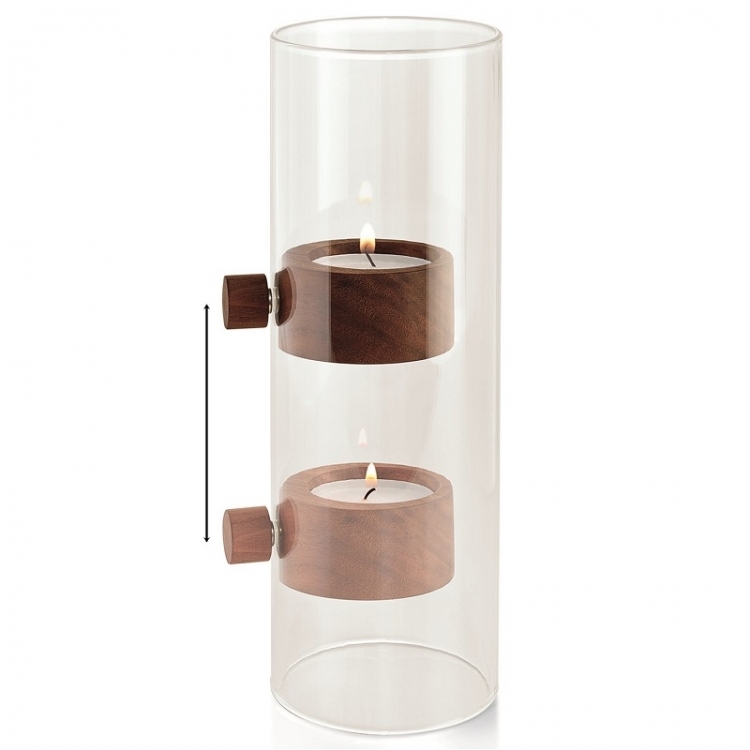 Any ordinary tealight is well-accommodated in LIFT. 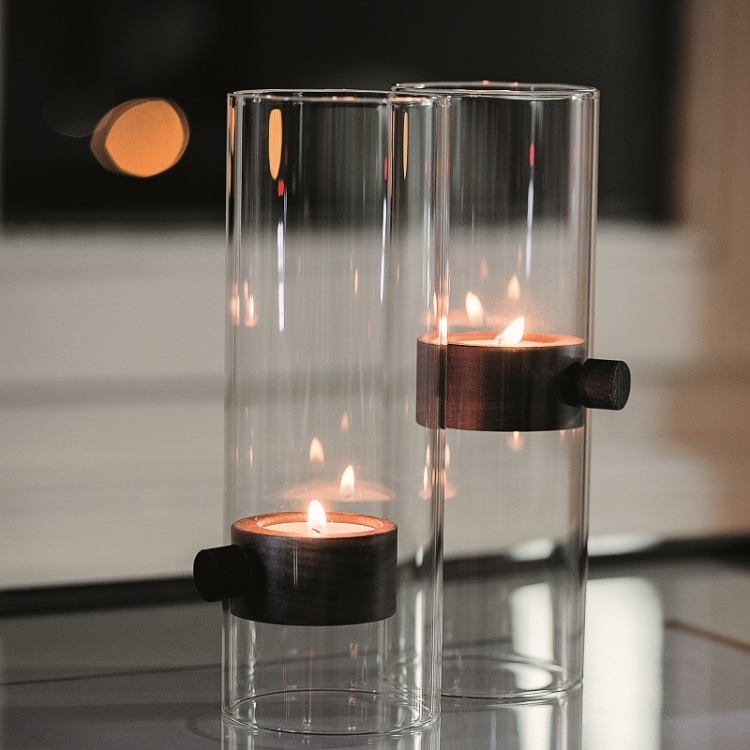 The tealight holder made of dark wood floats in the blown glass bulb – with just two magnets, it appears to be held by an invisible hand in midair. Arbitrarily slid from the bottom all the way up to its full height of 20 cm, the candlelight freely exudes its light throughout the room; looking stunning with each new arrangement!